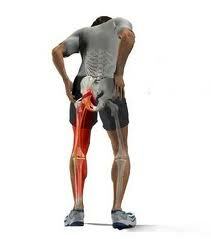 At the Centeno-Schultz Clinic we acknowledge that low back and leg pain can be disabling. It can make the simplest of tasks virtually impossible. This was the case with TA who could barely walk without assistance. In caring for her children she had sustained an abrupt onset of severe lower back pain that traveled down her leg down to her foot. The pain was electrical in character and aggravated by virtually movement. MRI was signficant for lumbar disc degeneration and disc protrusion. Physical exam was significant for musculoskeletal distress, weakness and numbness in the big toe and lateral aspect of foot and severe pain with straight leg raise. As opposed to an epidural injection with high doses of steroids, TA underwent x-ray guided epidural injection with Regenexx PL-M which contains platelet derived growth factors intended to decrease the inflammation and increase the blood flow to the injured lumbar disc and inflamed nerve root. PL-M is the newest platelet therapy at Regenexx and has demonstrated improved mesenchymal stem cell growth when compared to commonly used bed side centrifuge PRP concentrates. TA e-mailed me yesterday detailing her clinical success. Graciously she has allowed me to share her comments.